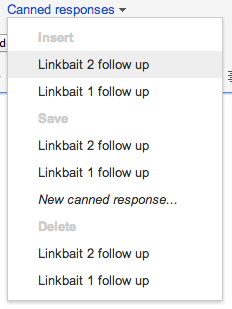 A really quick and easy link building tip for Gmail users today. I’ve mentioned before that I always get more outreach responses when I follow up with prospects. Chances are that you won’t catch everyone at just the right time first time around, so following up is always a good idea. However this requires you to be reasonably organised so that you not only remember, but don’t make the mistake of following up with the wrong people. You can use BuzzStream to keep yourself organised but if you’re looking for something a bit more basic, this tip may be for you. I tend to select either 4 days or 1 week, depending on the campaign. Click send and you’re done! You’ll make sure that you follow up on every outreach email you send and better still, it hardly takes you any time! Fantastic stuff Paddy, loved the post and am definitely setting this up for my future linkbait mails. Great post, thanks for the tip, Paddy. Yet another reason to convince my boss we should get off our mail system and over to something more flexible. Thanks Ryan. I used to use Outlook at my old company. Now, I can’t ever imagine not using Gmail, it’s amazing. Gmail is the cat’s pyjamas alright. Using Outlook for outreach, I feel like I’m spinning plates! Currently I am using Buzzstream. 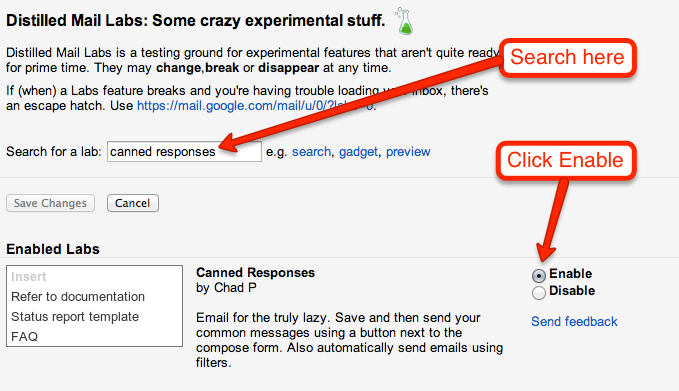 Are there times when you prefer using Gmail canned responses for outreach over Buzzstream? 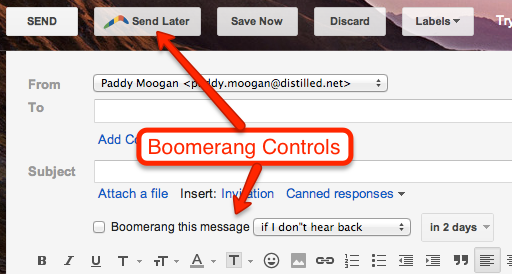 I tend to send blast emails out on Buzzstream which doesn’t have a feature like Boomerang. Good question! I tend to flick between the two to be honest. In general, I’ll use BuzzStream for when I’m sending more about 20 emails at a time. It also depends how customised I’m making the outreach email. It isn’t uncommon for me to customise each and every email I send by writing it from scratch, in which case I’ll use Gmail. Great tip – we’ve been wearing this one out lately. 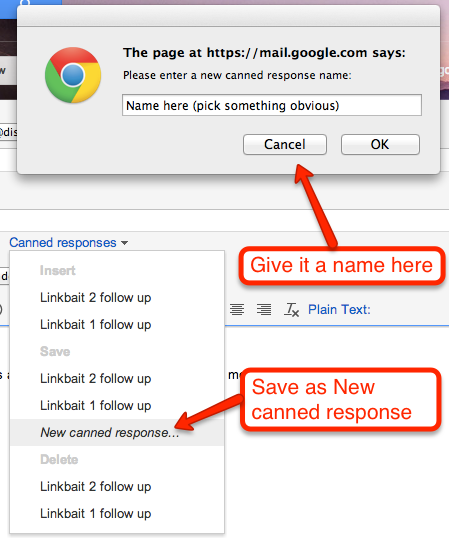 I would add that Yesware is another great add-on for Gmail that let’s you track emails, but it also allows you to create a variety of canned response “templates” that you can drop in easily. Win-win! Nice tip. I want to try this one but I am not sure if this really would work. Won’t this get us penalized?